The HELOC (Home Equity Line of Credit) has been a blessing and a curse for Canadian households. While it has helped spur house prices and simultaneously provided consumers the ability to tap into their new found equity, it has also crippled many Canadian households into a debt trap that seems insurmountable. Between 2000 and 2010, HELOC balances soared from $35 billion to $186 billion, according to the Financial Consumer Agency of Canada, an average annual growth rate of 20%. As of 2016, HELOC balances sit at $211 billion, a 500% increase since the year 2000. 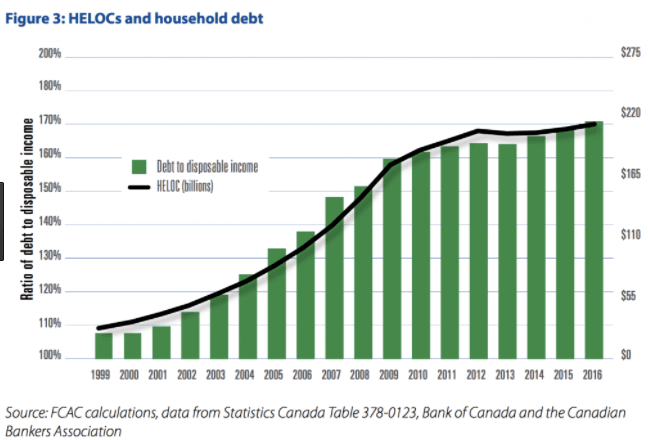 While also pushing Canadian household debt to incomes to record highs of 168%. Scott Terrio, a debt consultant, says the situation is a full blown “extend and pretend” meaning borrowers are just continuously refinancing or taking on more and more debt in order to sustain their lifestyle. Canadians can extend their debt repayment terms and pretend to live a lifestyle they can’t otherwise obtain. This is something i’ve been hearing on an ongoing basis from mortgage brokers and lawyers who help facilitate these deals. 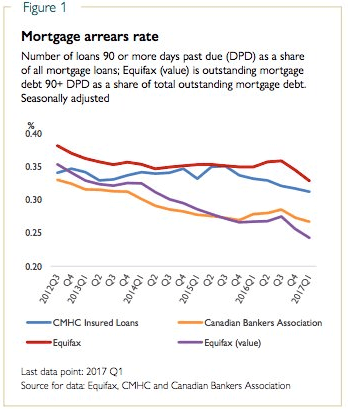 Especially since mortgage lending conditions tightened, starting with OSFI’s first mortgage stress test back in November, 2016 which required high ratio borrowers (less than 20% down payment) to qualify for a mortgage at the borrowing rate plus 2%. So basically you’re getting qualified on what you can borrow at 5% even though you’re borrowing at 3%. This strategy has been bulletproof, because, well, prices can only go up. The lender makes a juicy return, and the borrower gets his house. The borrower then transitions into a traditional mortgage once his home equity rises after the one year expires. This has created a situation where, as of September 2017, personal loans secured against residential real estate hit a record high $247 Billion. Thanks to an endless supply of new loans (credit) and rising house prices, mortgage arrears rate continue to fall to rock bottom lows. But as Seth Daniels remarked, “Up to a point, the greater the debt growth, the lower the arrears because as they say ‘a rolling loan gathers no loss’. In other words when debt growth is exploding people can find ways of avoiding default by rolling the loan, refinancing, selling the asset, or whatever. So, paradoxically, the default rate will seem to improve when the actual risk in the economy is exploding”. With another mortgage stress test set to roll out January 1, 2018, this will likely push another swarm of borrowers into the private lending space. We’re already witnessing a huge end of the year push as buyers scramble to secure a home prior to further mortgage clamp downs. The new mortgage stress test which previously only targeted high ratio borrowers (less than 20% downpayment), will now include low ratio borrowers (more than 20% downpayment) as well. This could be substantial, considering 85% to 90% of all mortgages in Toronto & Vancouver are low-ratio. It’s anticipated to eliminate some 12% of low ratio borrowers while simultaneously reducing borrowing power by 20%. 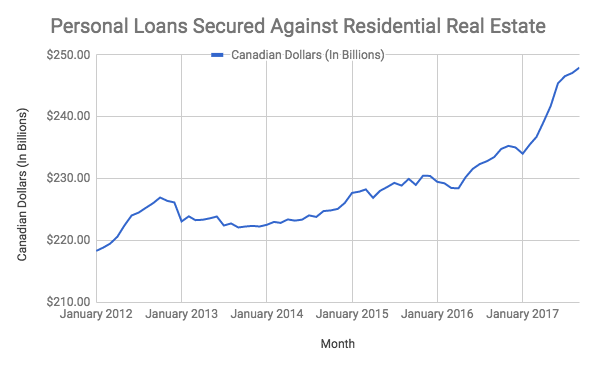 This could signal a final boom for the private lending space in Canada.